Research opportunities in MSE are diverse and abundant, running the gamut from cutting-edge nanotechnology and biomaterials to electrical, structural many other topics. You can find your niche in materials science and engineering. ​The department pursues a broad range of research which capitalizes on the unique position of the discipline. 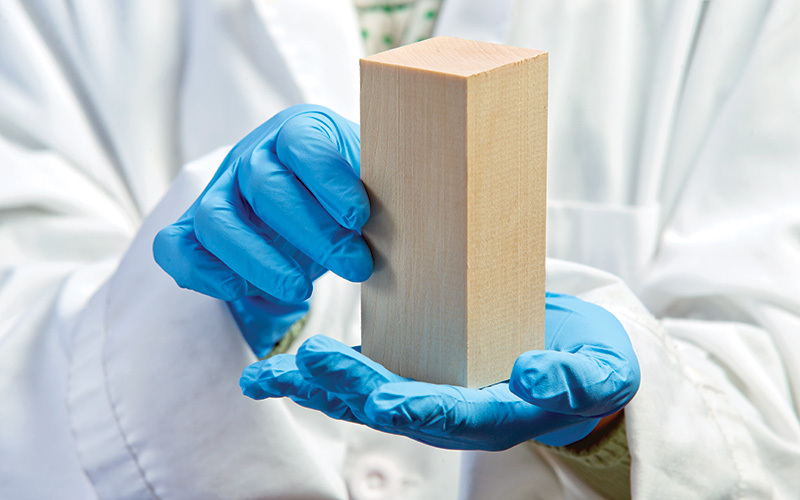 Materials science and engineering lies at the crossroads of science and technology, bridging the gap between fundamental understanding of physics, chemistry and biology, and the technological applications which are realized from the microscale (e.g., semiconductors and nanotechnology) to the macro scale (e.g., engineered materials from aerospace to medical applications). Its implications are pervasive in nearly all aspects of our daily lives. Thus while materials may seem like just another engineering discipline, its content and methodologies are pivotal in the context of today's scientific and technological revolutions: in a real sense, it lies at the center of the "three O's", i.e., the nano-technology, bio-technology, and information technology triangle. 1109 Chemical and Nuclear Engineering Bldg. 1246 Jeong H. Kim Engineering Bldg. 1110D Chemical and Nuclear Engineering Bldg. 2119 Chemical and Nuclear Engineering Bldg. 2141 Chemical and Nuclear Engineering Bldg. 1110B Chemical and Nuclear Engineering Bldg. 1244 Jeong H. Kim Engineering Bldg. 2309A Chemical and Nuclear Engineering Bldg. 1128 Jeong H. Kim Engineering Bldg. 2309 Chemical and Nuclear Engineering Bldg. 1106 Chemical and Nuclear Engineering Bldg. 1242 Jeong H. Kim Engineering Bldg.